One year after the Plug & Sense! platform release the Smart Agriculture model is one of the most popular among the 8 different models available. Our customers rely on the Smart Agriculture sensor nodes to monitor vineyards and crops in harsh environments, delivering real-time, accurate data, in a reliable and flexible way. Ready to install and easy to deploy, Plug & Sense! Smart Agriculture reduces installation time from days to hours. 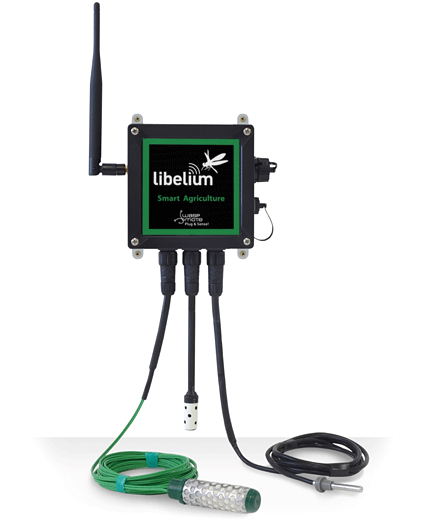 The Libelium Smart Agriculture system can monitor up to 11 parameters. Some are related to environment observation, such as ambient temperature and humidity, atmospheric pressure, precipitation and wind speed and direction. The rest of the parameters are specific to agriculture: soil moisture and temperature, solar radiation, accurate stem diameter and leaf wetness. Monitoring these parameters minimizes time and cost and maximizes agriculture results. With data collected from the sensors, researchers can also predict the appearance of plagues and reduce their impact on the crop’s growth. 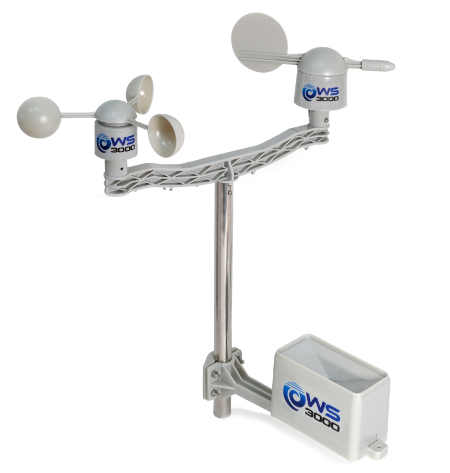 One of the most popular sensor solutions is the Libelium Weather Station WS-3000, a kit that comprises 3 sensors: wind gauge, anemometer and wind vane. It is a reliable and accurate weather kit available for just a fraction of the price of other standard weather stations. 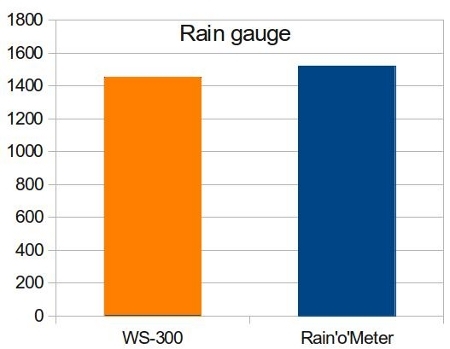 We carried out some experiments to test the performance of the Libelium WS-3000 against one of the Weather Stations from Davis and a pluviometer from Rain’o’Matic (both solutions are known for being accurate and reliable). 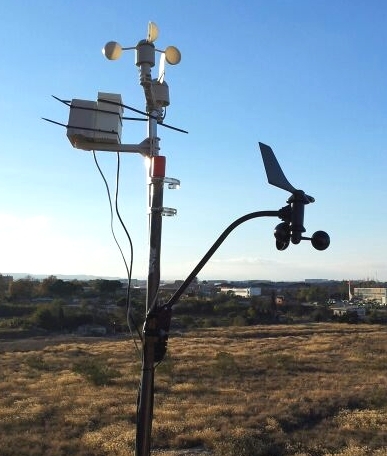 During several weeks we set up a single placement with both weather stations so they could be affected by the same atmospheric events regarding wind and rain. 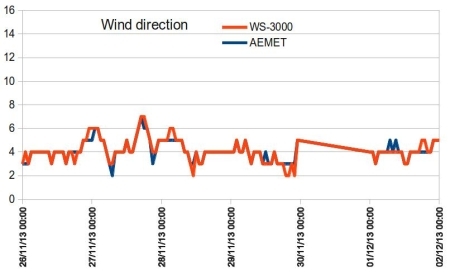 Zaragoza is a windy city, and we registered strong wind changes during one week. The graphic below shows that both anemometers registered similar behaviour. In our hometown of Zaragoza, the cold wind that comes from the northwest of Spain is called cierzo. This strong, dry wind is what shows in the following figure (0 and 16 is N, 4 is W, 8 is S and 12 is E) . Again, both sensors display equivalent results. 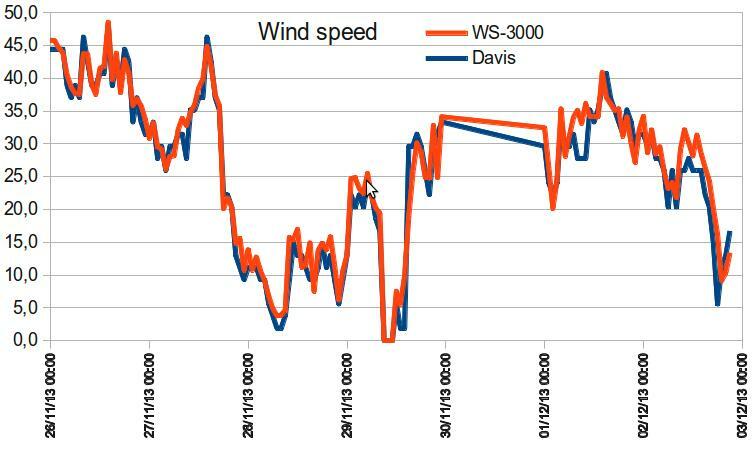 The only difference is the initial offset of the readings and the depth of the Y axis, but they show same response to wind change. The rain test was even closer, with identical results for the two week period studied (part of the rain was simulated to speed the process). 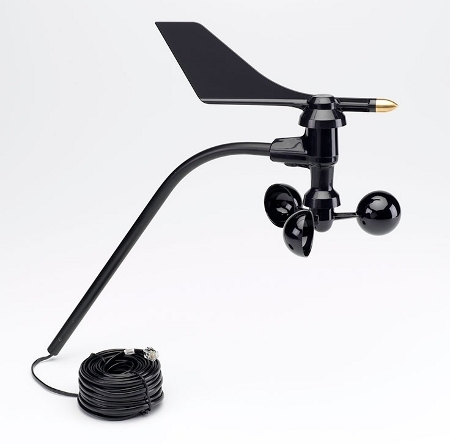 We are very satisfied with this experiment, which shows that our Weather Station WS-3000 performs as well as other professional weather stations, at a fraction of the cost. For more information about Waspmote Plug & Sense! Agriculture and the Libelium Weather Station contact our Commercial Team.